The Tea Spot works to advance healthier living through the everyday enjoyment of whole leaf tea, and the Specialty Coffee Expo was designed to be the coffee professional’s one stop shop for everything they need to succeed in the coffee industry. During Uspenski’s Specialty Coffee Expo session, she’ll cover why offering sub-par tea is an issue and a missed opportunity for many coffeehouses, and she’ll look at why consumers are demanding premium tea. She’ll also discuss how little it takes to elevate a coffeehouse tea program, and what to look for in a specialty tea partner. In addition to the presentation by Uspenski, The Tea Spot team will exhibit at the Specialty Coffee Expo in both No. 1294, April 12-14. They’ll brew up some of the company’s top-selling whole leaf iced teas, present a special gongfu tea tasting every hour during the event, give away samples from their new collection of premium foodservice pyramid tea bags, and answer questions about elevating tea programs at coffeehouses. 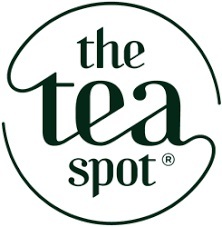 The Tea Spot will also showcase its new Iced Tea Pouches, which feature six premium-leaf iced teas in extra-large tea sachets. The pouches were developed for brewing in commercial coffee brewers, such as Bunn.